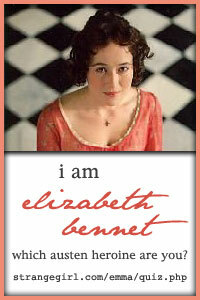 At the Jane Austen Festival in Canberra this year, I attended a sewing workshop on how to do English paper piecing. I have done patchwork and quilting before, but I have always been interested to learn paper-piecing, mainly because of the very neat, hand-pieced method. 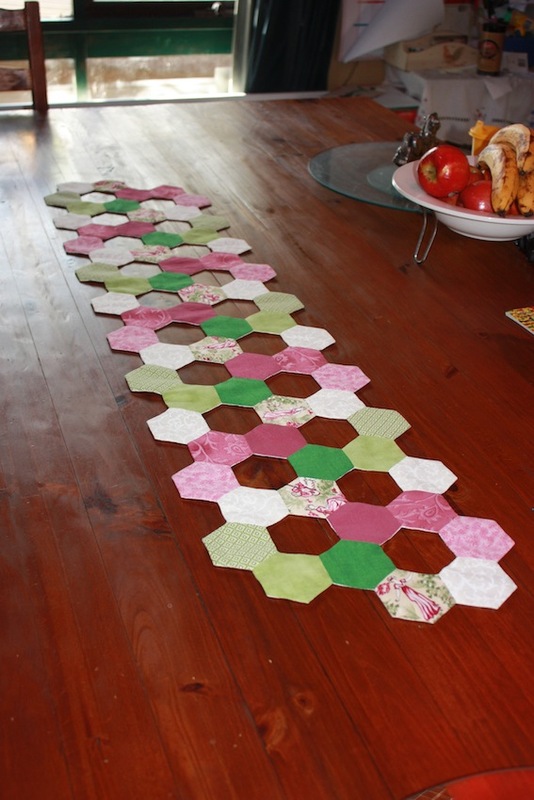 For this workshop, I decided to begin work on a hexagon table runner. I thought it was a fairly simple and straightforward project that wouldn’t take too long to complete. I only managed to cut and wrap four hexagon pieces around die-cut paper and then sew two together in the class; the rest of the project was taken home. I got home from the festival and at once focused on cutting and wrapping a whole heap of hexagons; then I could begin on a layout or pattern. It took awhile to decide but, once I had, the table runner top went together very quickly. My layout included pretty windows! The problem I had next was how to back it. Normally for a quilt or runner the edges would be bound, but I had made mine with little windows which would be difficult to bind. I thought of appliquéing it to another piece of material, but then I would lose my “window-effect”. 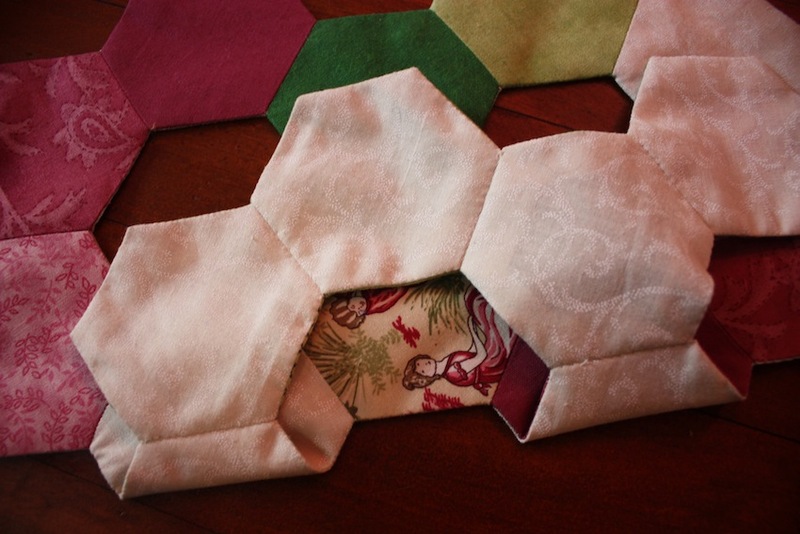 In the end I hand sewed “lining hexagons”, one at a time, on the reverse side of the runner – carefully matching up the edges to make it as neat as possible. 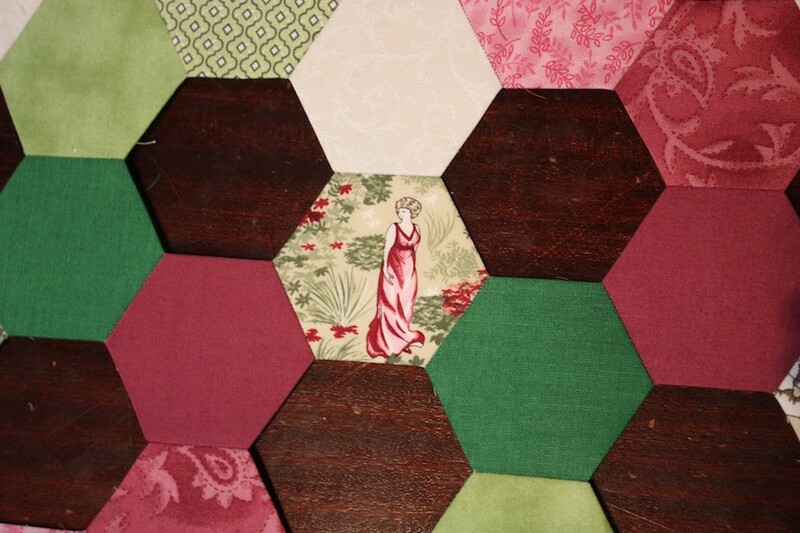 The underside of my table runner, showing the lining hexagons. 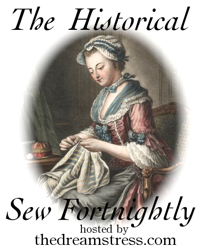 To be honest, sewing the lining took WAY longer than sewing the top, and if I had to do it again I would do “quilt-as-you-go” hexagons and then whipstitch them together at the end. I think it is very pretty and it makes a nice addition to my table! This is great! Love the little windows! It is pretty, isn’t it! on May 30, 2015 at 11:20 pm | Reply Pennie D.
Love it. Never thought to leave windows in before. Very nice, your stitches are much better than mine. I love the effect with the “windows” love it!! Thank you! I must admit to getting quite sore hands and arms after doing this piece.